Some of the world’s biggest container shipping companies could be about to face some serious legal action. The competition commission of South Africa has just raided the local offices of some of the world’s largest container shipping companies, amid allegations of price fixing. “The commission has reasonable grounds to suspect that [these companies] have engaged in collusive practices to, inter alia, fix the incremental rates for the shipment of cargo from Asia to South Africa in contravention of the Competition Act,” the regulator said, adding that it is carrying out search and seizure operations at the offices of five shipping lines in the Western Cape and KwaZulu-Natal regions. The companies being questioned are Germany’s Hamburg Sud South Africa Pty. Ltd. Denmark’s Maersk South Africa Pty. Ltd., Geneva-based Mediterranean Shipping Company Pty. 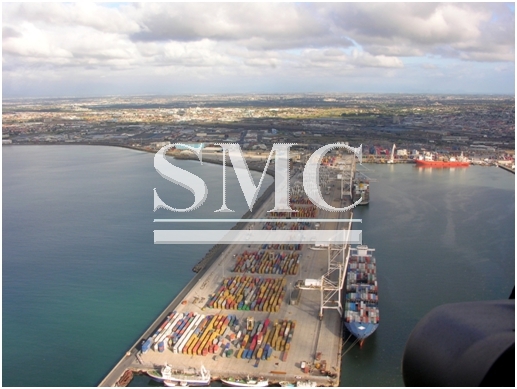 Ltd., France’s CMA CGM Shipping Agencies South Africa and South Africa’s Safmarine Pty. Ltd., a Maersk subsidiary. Maersk, CMA and Hamburg Sud said they were cooperating with the SACC investigation. MSC couldn’t immediately be reached for comment. The big players in shipping are often prone to allegations and investigations, so they will no doubt be prepared for what is to come. In July, the European Commission closed an investigation into 14 container liners which lasted three-years, which resulted in none of the companies being penalised, the carriers ‘promised’ to make freight rate setting practices more transparent.